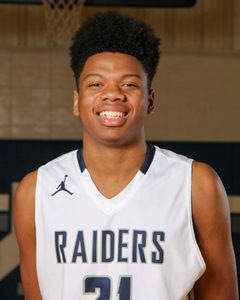 Congratulations to senior Michael Barber for being named to the 2017 Clarion-Ledger Dandy Dozen as one of the 12 best basketball players in the state of Mississippi. He was also selected for the Dandy Dozen in his junior year. Members of the Dandy Dozen are selected by the Clarion-Ledger with input from coaches and basketball aficionados from across Mississippi. Michael is the first JA boys basketball player to receive this award and now the first Raider athlete (boy or girl) to be named to the list in back-to-back seasons.